South African children’s book publishing is winning international attention — and awards — as the market evolves beyond being a government-driven sector. 2015 is an exciting year of discovery and celebration of South Africa’s local initiatives in the field of children’s book publishing. Bumble Books, children’s book imprint of Publishing Print Matters, was nominated for the Bologna Prize for the Best Publishers of the Year (Africa). And the highly coveted Astrid Lindgren Memorial Award went to PRAESA, the Project for the Study of Alternative Education in South Africa, an organization that has worked to promote reading and literature for children and young people in South Africa since 1992. The South African market is rich in its diversity of population, languages (11 languages including English and Afrikaans) and cultures. It is traditionally an educational market with, according to Mpuka Radinku, Executive Director of the Publishers’ Association of South Africa (PASA), educational publishers “contribut[ing] 66% of South Africa’s publishing industry turnover.” But the proposed single textbook policy which the Department of Basic Education is trying to force through is facing strong opposition as it would throw South Africa’s publishing business into deep trouble. Also whilst many trade publishers rely on the Department of Education’s prescribed lists, the general sense is that one can no longer rely on these big orders which have become unpredictable. Carol Broomhall, Publisher at Jacana Media, explains that 10 years ago, (where possible) they were publishing books in 11 languages. Now, they are focusing on 4 to 7 languages as a result of these cuts. Nevertheless Broomhall agrees that there are signs of improvement and NGOs such as PRAESA and Biblionef are very active on the ground. The PASA 2013 survey reported that revenues from locally published children’s books were up 9.4%. Hough outlines several factors for the growing focus on local children’s books over the last few years, particularly the exchange rate that makes joining picture book co-editions very difficult. A recent report from the International Publishers Association revealed that “the South African Rand lost 28% of its value against the GBP from February 2013 to January 2014 and has been subject to spikes ever since.” Hough adds that the high volume of imported books is pushing publishers to think differently, hence local. She believes in the need for publishers to look more at the trade market and be more commercial and publish books that kids will enjoy. One of her company’s recent successes is Noko and Kool Kats by Fiona Moodie winner of the MER Prize for Illustrated Children’s Books (part of the Media24 Books Literary Awards) as well as the South African Early Child Development (SA ECD) Awards for best author. For Robin Stuart-Clark, Founder of Bumble Books, showcasing new South African children’s authors and illustrators is at the heart of the publishing house. 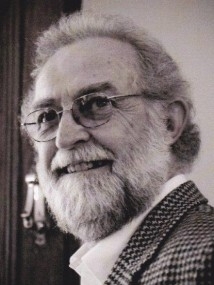 Stuart-Clark comes from a creative background of art, design and literature so for him “children’s material is a marriage of the visual and verbal where they are independent yet complement each other.” Partnering with authors and illustrators in promoting their books and reaching out readers directly is essential. Of course it can be risky to promote new talents particularly when bookstore chains “play safe and stick to commercial lines. That’s business!” acknowledges Stuart-Clark. And this is why Bumble Books’ focus is on selling online or direct through events with for instance David Krut Projects, an alternative arts institution dedicated to encouraging an awareness of and careers in the arts and related literature and media, and to promoting contemporary culture in a dynamic, collaborative environment, or independent bookstores such as The Book Lounge in Cape Town. The South African children’s book market may be vibrant but it is price sensitive with high printing costs, low print runs ranging from 1,000 to 3,000 copies or less for languages other than English and Afrikaans. Books are still considered a luxury for a lot of South Africans who have limited access to books and who do not associate reading with leisure. According to Terry Morris, Managing Director at Pan Macmillan South Africa, sales are driven by what is happening internationally so we see great success with young adult titles by for example John Green or Cassandra Clare. At the same time the market is witnessing an increase in imported remainders and cheaper international brands sold in supermarkets. Nevertheless, Morris believes in the moral imperative to have a local presence through their imprint Giraffe Books and mentions the possible restructuring of the imprint in the future. Stuart-Clark states that new authors and illustrators who come into the profession need to think outside the box and this sometimes means outside South Africa. 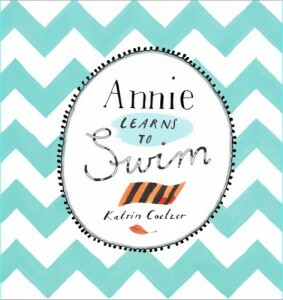 A case in point is Katrin Coetzer, whose graduation project Annie Learns to Swim was recently published by Bumble Books and has just been sold to China. She has worked on four books in the space of a decade but she finds commercial illustration significantly more satisfying and so calls herself a commercial/editorial illustrator. “Because of the way art directors and publications use the internet to source art worldwide I can have a successful career in this field as I’m not limited by geography.” Currently only a very small percentage of her clients are based in South Africa even though Coetzer adds that she gets many requests from self-publishing authors looking for an illustrator. 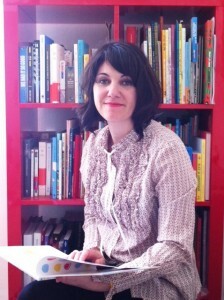 The overall feeling within the industry is one of change and need to push further local children’s book publishing. At Jacana Media, whose motto is We Publish What We Like, the passion and drive for local children’s books is evident and the children’s list is growing. Broomhall mentions that one of their many initiatives involves developing content with PRAESA including for babies and toddlers for whom there’s little local content available. Also August 2015 will mark the launch of the BlackBird imprint a literary space that will seek to discover, incubate and nurture new black writing voices and narratives. In South Africa, publishers and young entrepreneurs are certainly not short of ideas and initiatives all aimed at growing the culture of reading towards a healthier children’s book publishing business.